Due to the announcement that Borderlands 3 would launch on September 13th as an Epic Games Store exclusive, many have taken to the Steam platform to have their voices heard. 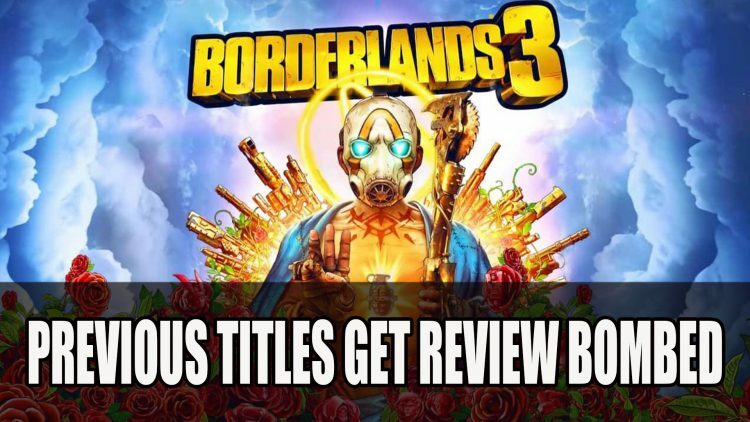 In an effort to draw attention to the fact many fans of the Borderland series are not quite thrilled that Borderlands 3 will be an exclusive at launch for the first 6 months on the Epic Games Store, they have resulted in review bombing previous titles. Leaving masses of negative reviews to express their disappointment in not gaining the next instalment on Steam. So far Steam’s anti-review bombing measures haven’t managed to solve the problem. Borderlands 2, by Gearbox studios, has some great game developers but for some idiotic reason they’ve decided to release Borderlands 3 as a 6 month Epic store exclusive. However, some are also leaving positive reviews to express their love of the game and not to be swayed by the reviews that are bombing the games based on the recent news. While this does bring attention to the consumer opinion, simply down voting a game that was well received may not be the way to go. Review bombing is not something new to the Steam platform, just last month Valve introduced a way to deal with the problem with a system where a team of humans will diligently sift through reviews that are picked up by an automated program that picks out suspicious entries. What do you think of the response from Borderlands fans? What are your thoughts on the exclusivity to Epic? Let us know in the comments below. Borderlands 3 will launch on September 13th on PS4, Xbox One and PC via Epic Games Store. To not miss out on pre-order bonuses be sure to read Borderlands 3 Release Date September 13th Launching Exclusively On The Epic Games Store; Pre-Order Editions. You can also catch more news in A Darkly Humorous CRPG Paranoia: Happiness Is Mandatory Announced For PS4, Xbox One And PC and Fallout 76 Double XP Weekends Starts April 4th.